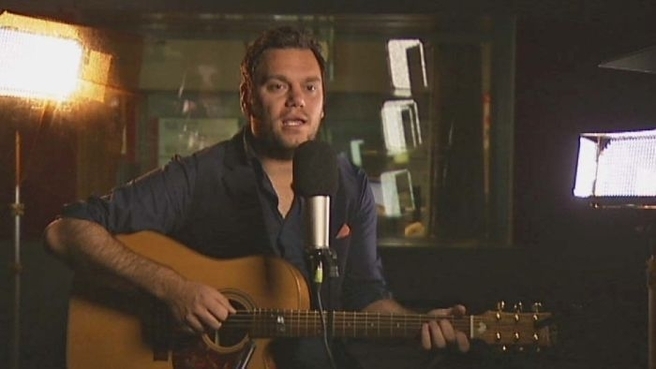 A Tasmanian singer-songwriter is spreading the sounds of local Indigenous language beyond the island, as interest in learning it grows within the state. Dewayne Everettsmith has released an album that includes the first commercially available song in Palawa kani. Palawa kani was constructed in the 1990s from community memory and documentary evidence of about a dozen original Indigenous languages. The song, Melaythina, was written by Aboriginal community members before Everettsmith put his own music to it. “Melay is about welcoming to country, it’s about welcoming Aboriginal people, Palawa people, to land and it’s also welcoming broader community,” the singer explained. “It recognises very important places and spots in Tasmania, to Tasmanian Aboriginal people, but to general Tasmanians. Everettsmith has supported performers like Gurrumul Yunupingu and Paul Kelly, but has won critical acclaim in his own right. Tourism Australia used one of his songs in a $250 million global advertising campaign. The musician has family links to Fanny Cochrane Smith whose wax cylinder recordings of Aboriginal songs were the only audio recordings of local Aboriginal language. Cochrane Smith was one of the survivors of the Wybalenna settlement on Flinders Island whose members were moved to Oyster Cover in southern Tasmania in 1874. Songs in her native language were recorded in 1899 and again in 1903. They have been used by the Aboriginal community who have been working since 1999 to bring the language of the original tribes back to life. The project has also used resources such as the journal of George Augustus Robinson who established Wybalena. A year ago, the Tasmanian Government began a dual naming policy using Aboriginal names for places of significance such as Mount Wellington (Kynyani) and the Tamar River (Kanamaluka). With an increasing number of Indigenous Tasmanians learning the language, teachers hope Everettsmith’s song is a sign of things to come. Tessa Atto teaches the language in the Aboriginal community and has seen student numbers grow in recent years. Ms Atto says the song gives local song groups inspiration that other songs in Palawa kani could be commercially released. “Just to see a song in Palawa kani, and having that commercialised now, gives us maybe inspiration for that to eventually happen with other songs that we might create as well,” she said.